Mountains humble you and make you feel special about your being. Himachal in the north is dotted with alpine trees, and cutting through them are daunting trails that epitomise a mountain’s true charm. Infinite vistas and snow-capped peaks keep uplifting your soul when the body cedes to climb. Something similar is the story of trekking in Manali. 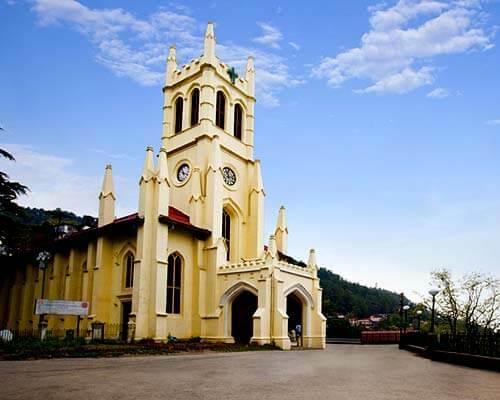 Decorated with stunning vistas and daunting treks, Manali is an adventurer’s muse. 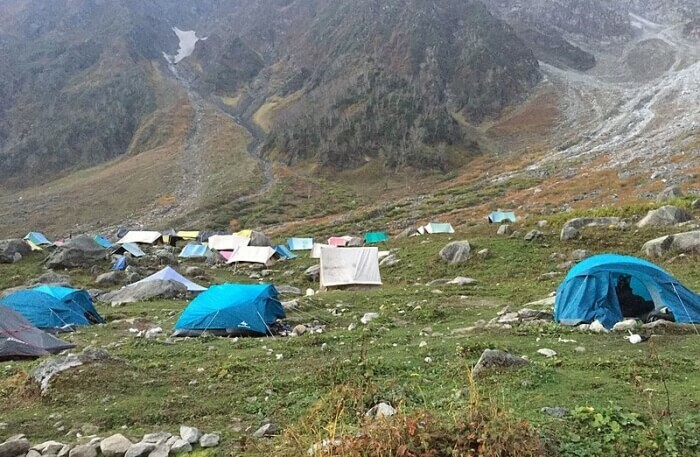 Round the year, adventurers take to Manali for trekking where they are awaited by the sprawling campsites, adventures, and infinite outdoor activities. 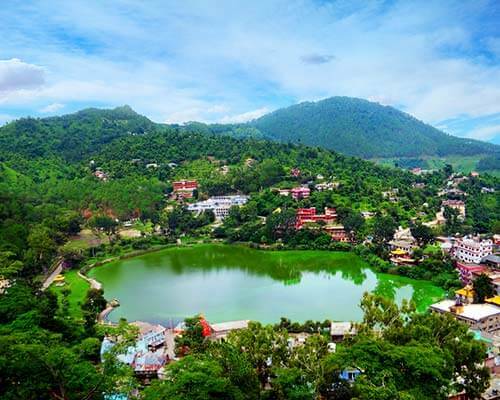 Not just trekking, here you can actually engage in a number of activities at this adventure capital of India, like biking trips, paragliding, and jeep safari. Sitting at an altitude of around 2,000 meters, these Manali treks test you on several levels. Strategically, many of the popular Himalayan treks like Beas Kund Trek, Bhrigu Lake, Chandratal Lake originate from the Manali area. With trekking routes all over Manali, you can easily pick your favorite depending on the choice of location and difficulty level. Most of the trails in Manali and beyond this region are once in a lifetime experience. 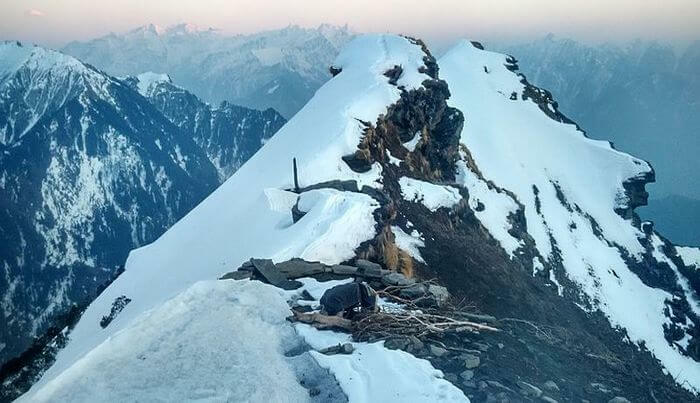 These treks are also popular as winter treks in India wherein the narrow mountain trails make it an absolutely thrilling experience for adventurers. Jogini Waterfalls Trek is rather a walk on the part. 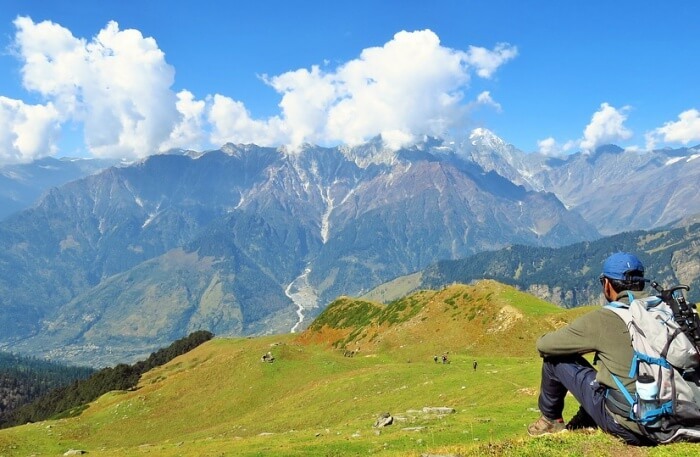 The short trek stretching over 3 km makes for one of the top Manali trekking places. Lama Dugh Trek is more of a relaxing day walk into the thick alpine surrounding the city. 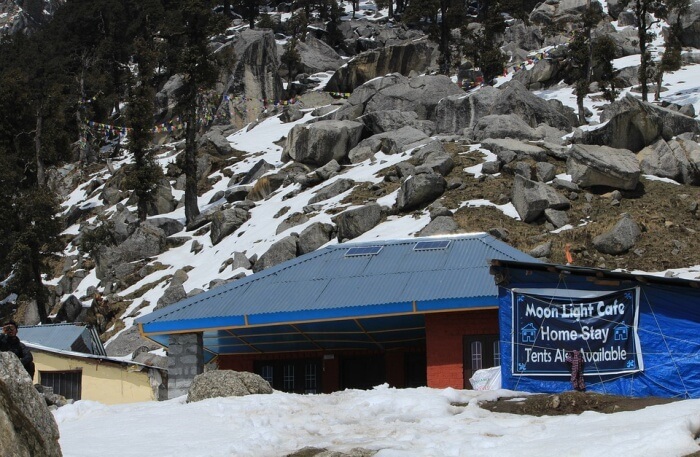 One of the easiest paths to walk, Lama Dugh is the ideal option to go trekking in Manali. The route takes you past Hadimba Temple up to Lama Dugh cutting through the thick forest and alpine in the way. There are no water points amidst the trek route which means you have to be well-equipped before you begin. 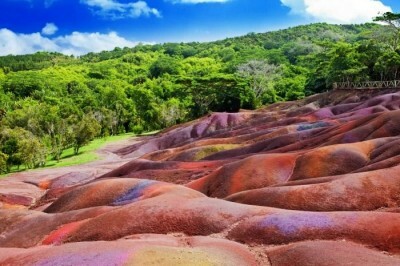 Doesn’t the sight of horses grazing on a mountain slope carpeted in green make for a visual treat? While walking the Bhrigu Lake Trek you would traverse many such vistas. Bhrigu Lake is a glacial lake close to Manali and is one of the highlights of trekking in Manali. The Lake remains frozen for the most part of the year and it is indeed a thrilling place to trek to. Suggested Read: 15 Best Himalayan Treks Under 10K That You Must Include In Your Bucket List! 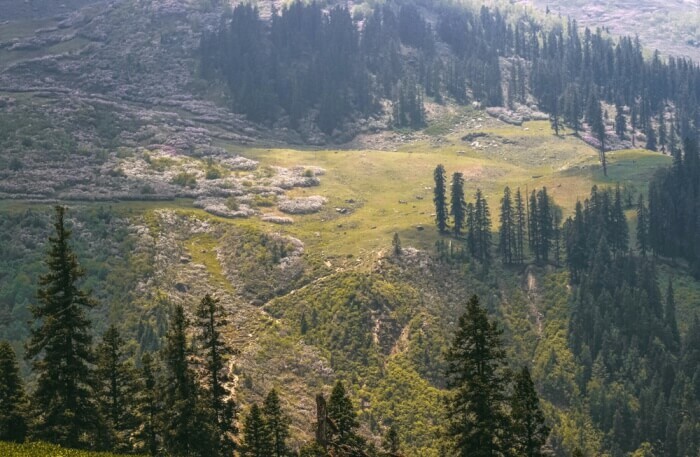 The exciting trek meanders along the vast outdoors in Manali. Hamya Herbal Trek makes a perfect opportunity to explore the vast Himalayan terrain. The place is known as a major stop for adventurers looking for a perfect trail for trekking in Manali. The trek is for those adventure enthusiasts who have a considerable amount of experience in trekking. Pandu Ropa is the place where you begin the trek as well as the place where you end the trek. 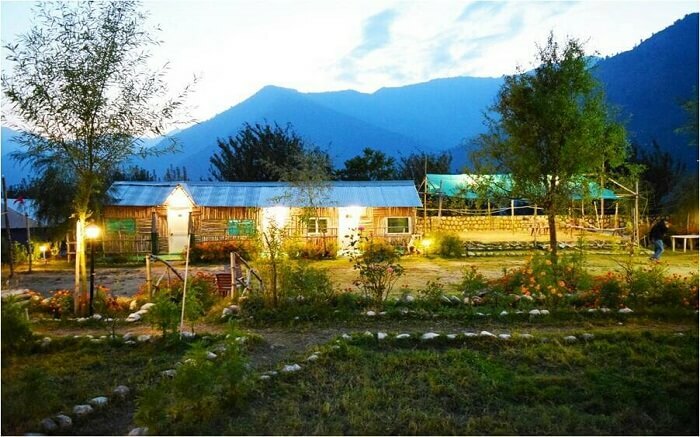 Beautiful campsites and tents await you at Hamya Herbal Trek. A 1.5-hour taxi ride from Manali takes you to Khanol, the base camp of the trek. Deo Tibba being one of the most scenic treks in the Himalayan region is certainly not easy to walk. 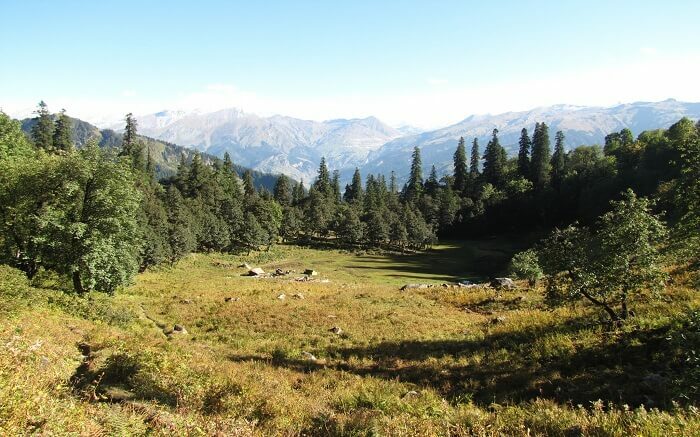 Through the alpine forest and lush meadows, the Deo Tibba Trek showcases the best of Kullu Manali trekking. This trail is a must-take for every first timer as well as an experienced trekker. Manali trekking can be experienced at its glorious best while walking the Beas Kund Trek. 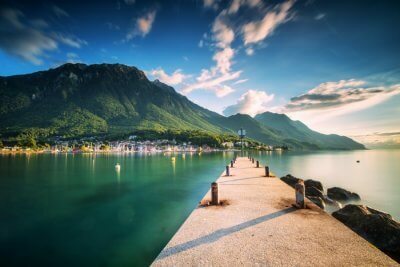 The trek that goes on from easy to moderate makes for a perfect remedy for an adventure bereft soul. 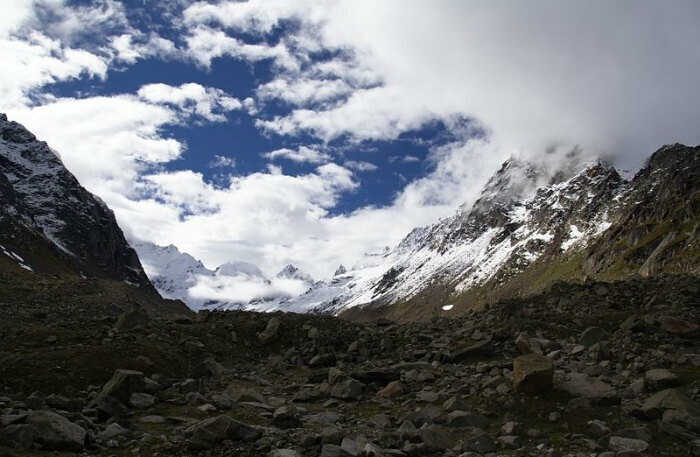 The trek starts from Solang Valley and cuts through deep alpine to finally reach Beas Kund. May-October makes for the ideal time to take this trek. An ideal destination for an extended weekend from Delhi, the trek also takes you through the origin of river Beas. One of the most breathtaking mountain passes, Chandrakhani offers incredible views of Deo Tibba peak, Pir Panjal, and Parbati range. As Daunting as it looks the entire spreads over the Kullu Valley region making a prominent option for trekking in Manali. The entire trek length is 22 km with moderate climbs. 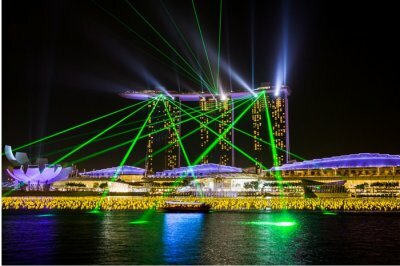 This trek can be taken by a beginner as well. Hampta Pass Trek makes one of the highlights of trekking in Manali. The exciting trail of Hampta Pass charms an adventurer with its drop-dead gorgeous outdoors. 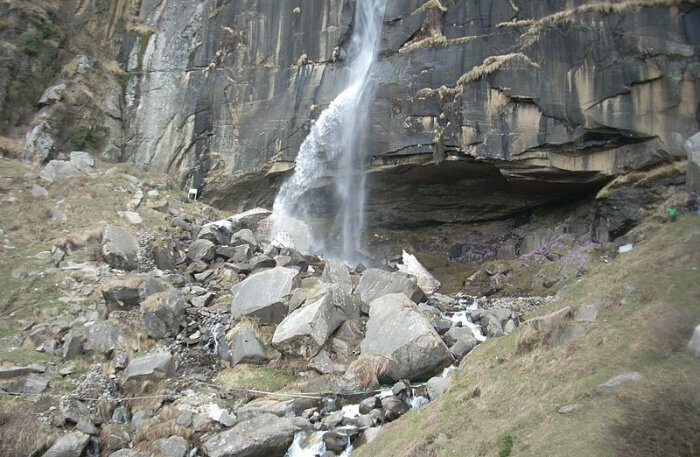 At an excess of 10,000 feet, Hampta Pass falls in the Pir Panjal range meandering near the Lahaul Valley before ending at Chatru near Chandratal. 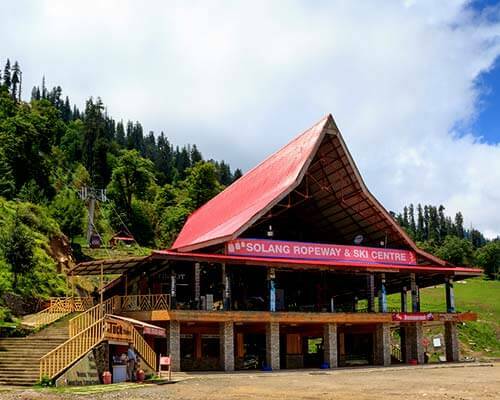 While exploring the mountains in and around Manali you will realize that there are not too many fancy hotels to stay. 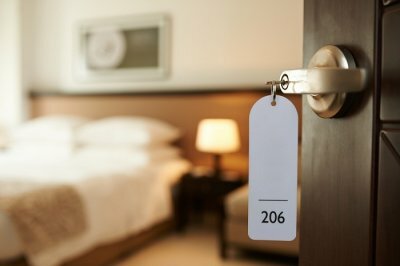 A few of those luxurious hotels in Manali are located in mainstream tourist places. Moving further into the mountains there are lesser hotels and more camps. 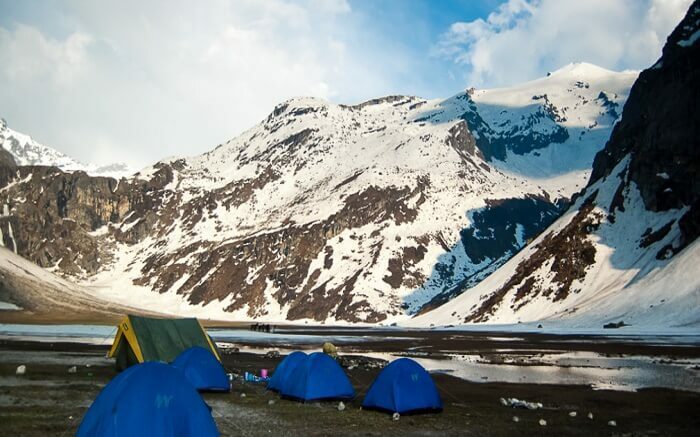 These camps offer a picture-postcard view of the alpine and also act as a base camp for many Himalayan treks. 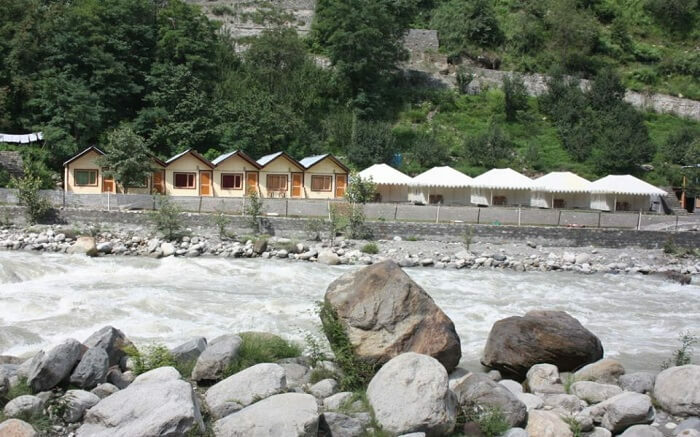 Beas River, Solang Valley, and Kothi have some of the most amazing campsites in the Manali region. 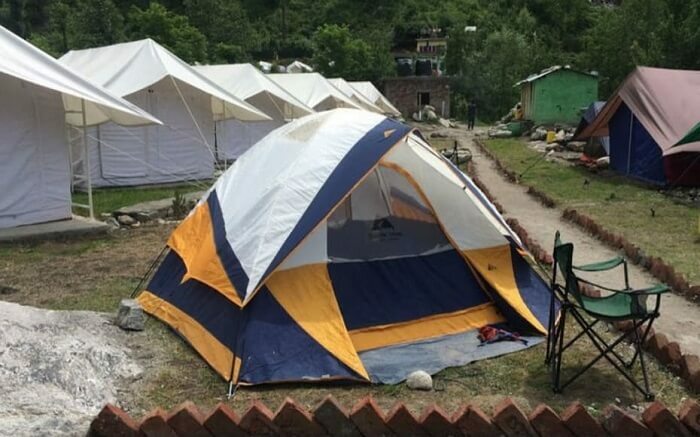 Equipped with most of the basic amenities, these camps make a wonderful retreat while camping in Manali. 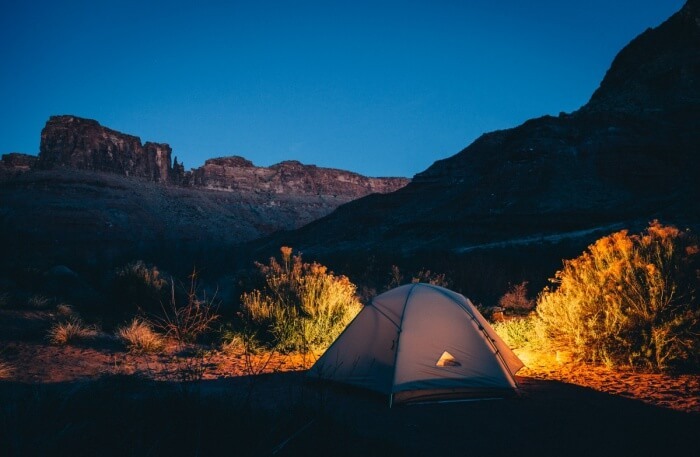 Besides, you can always make your own tent at the wonderful campsites that you come across during the trek. Suggested Read: 6 Best Villas In Manali That Provide The Perfect Escape From Your Busy City Life! 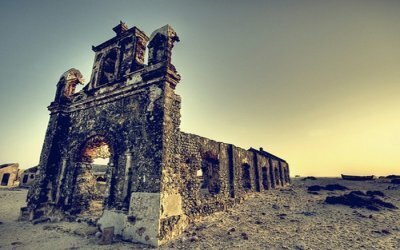 What is the time taken to reach Manali from Delhi? It takes 12 hours approximately to reach Manali from Delhi by road. The road makes the easiest way to travel to Manali which is 538 km far. Buses run in tandem from ISBT Kashmiri Gate in Delhi. What is the average temperature in Manali in December? 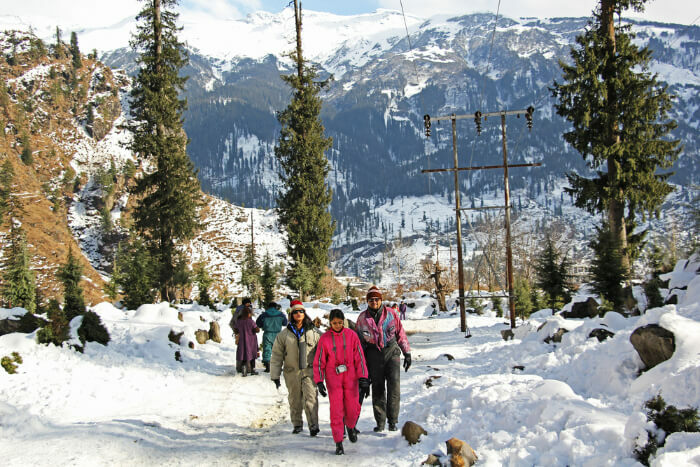 Average temperature of Manali in December is 10 degrees celsius. Trek more often and trek to the places that are lesser heard of. As you plan to go to Manali for a trekking in Manali these trails would take you through the best of Himalayas. So which one of them are you going to undertake this winter?